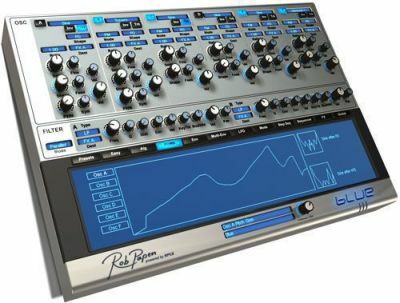 Rob Papen BLUE II is the second generation of the famous and popular virtual synthesizer from the legendary Rob Papen (Rob Papen), which provides all connoisseurs of high-quality sound a modern, musical and creative approach in creating unique sounds. Rob Papen BLUE II combines several types of sound synthesis simultaneously, including subtractive, Wave Shaping, a powerful Phase Distortion and FM, it has 6 full-scale oscillators, two powerful unique analog filters with 27 types, a huge variety of processing and modulation capabilities, A powerful arpeggiator and, of course, a convenient sequencer. In the distribution of 2 versions of the tool. With NKS support (who needs it) and without.